Our good friend Roscoe, the red smooth miniature dachshund, showed off his with us on our Facebook page earlier this month and inspired me to buy a single pair for my duo. I can’t tell who wears it better, Emily or Rufus. What do you think? Both look super cute! You have the best style Johnny! well I do like the contrast of the red fabric against Emily’s black fur, so I would give the edge to Emily!! 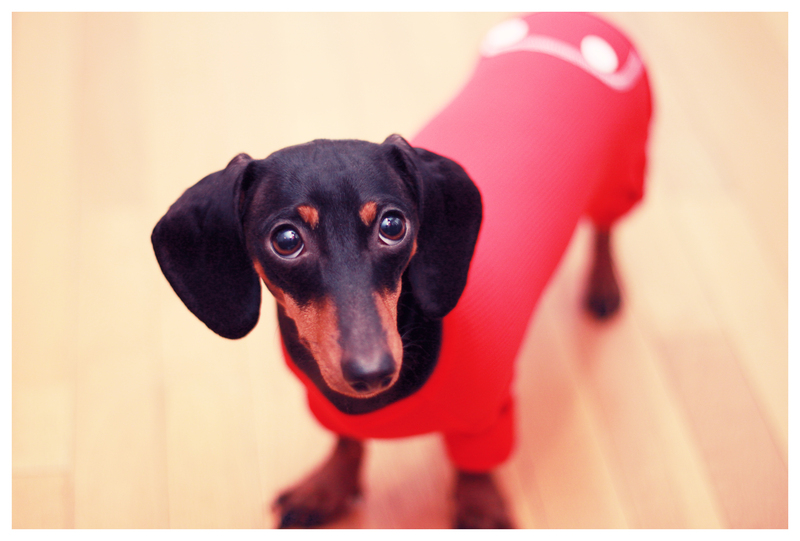 i need these for my mini doxie…. Johnny the both look so adorable! i love that you bought a pair. by chance did they walk funny when you first put the pj’s on? Roscoe has never had his hind legs covered, and it ook him a while to figure out how to walk normal…..but it was HILARIOUS to watch him figure it out. 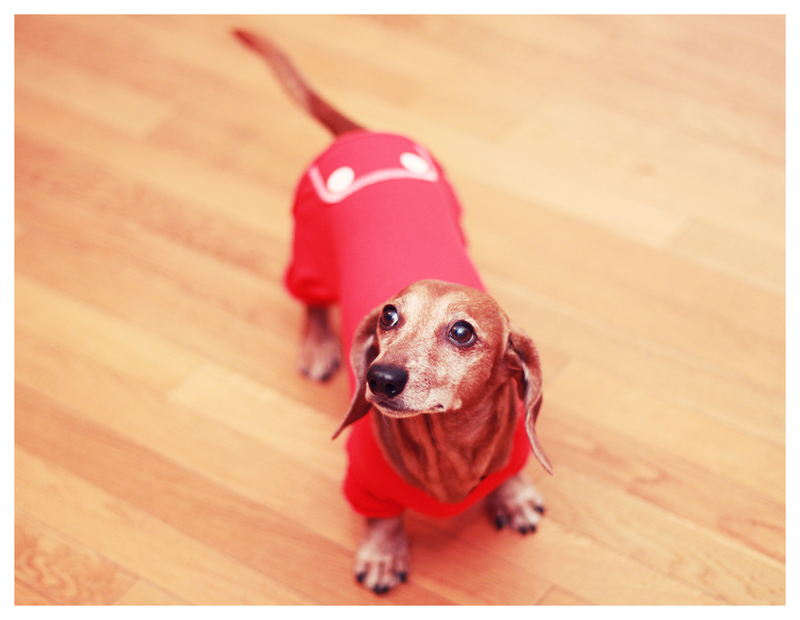 They look so darling in their Long Johns!